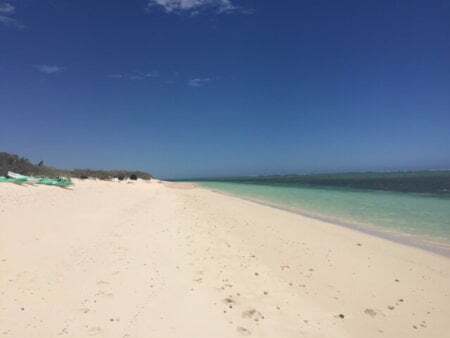 camp on the stunning Ningaloo Reef. 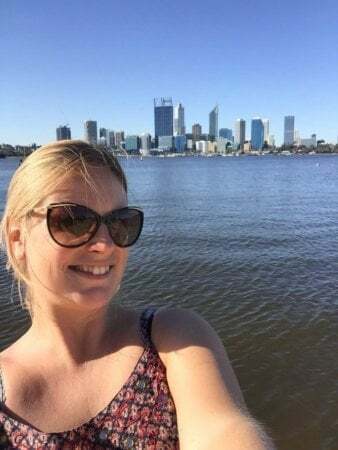 Perth is an isolated cosmopolitan city, closer in distance to Asia than it is to Sydney, with plenty of glorious beaches on its doorstep. 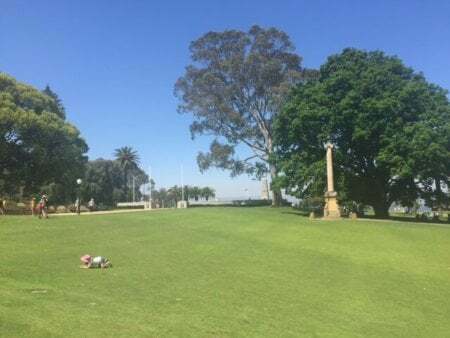 I checked into my room at COMO the treasury, a short stroll from Elizabeth Quay and went straight back out to Kings Park for the day. Centrally located within the city the park is a mixture of grassed parkland, botanical gardens and natural bush land. It overlooks the city as well as the Swan River and is a great way to spend a day in Perth. 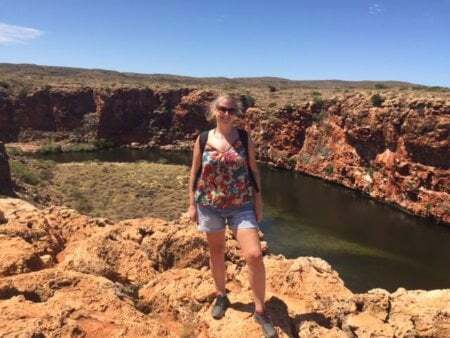 My next stop was the moment I had really been waiting for - Ningaloo Reef! After a short flight to Exmouth I picked up a car and drove two hours west around the bay into Cape Range National Park to Sal Salis, my home for the next two nights. 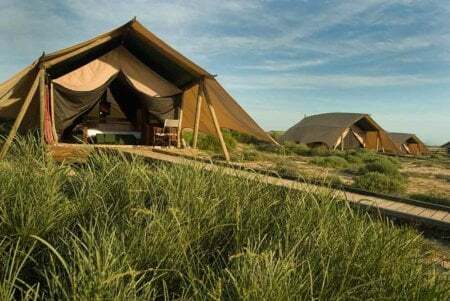 A remote beachside eco safari camp, in a remarkably secluded location within the sand dunes, where the underwater coral world is just a stones throw away from the shoreline. I arrived just in time for dinner which is always a communal affair with fellow campmates. The standard of the food is outstanding and the topic of conversation is generally about the days exciting activities alongside like minded people. 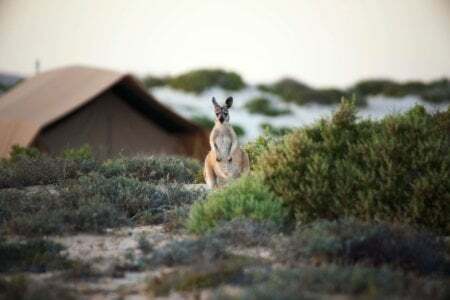 The following morning I awoke and unzipped my tent to see a wild kangaroo on the deck! There are many activities on offer from Sal Salis and you can choose to be as active or relaxed as you would like. There are lots of different gorge walks in the area offering some spectacular scenery and an insight into many of the resident wildlife. The snorkelling can be done straight off the beach which is what I liked so much about this special place. A world away from The Great Barrier Reef whereby you need to travel by boat to get to the coral, Ningaloo means you can go in and out as much as you like. 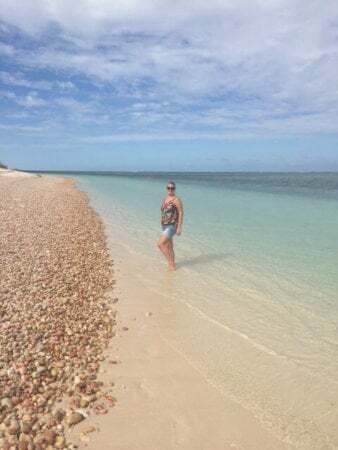 The beaches are pristine and untouched and what struck me the most about this part of Australia is just how remote it really is. You can be the only person on a beach for miles on end! You can also swim with the whale sharks in Ningaloo from March to August and with humpback whales from June to October.